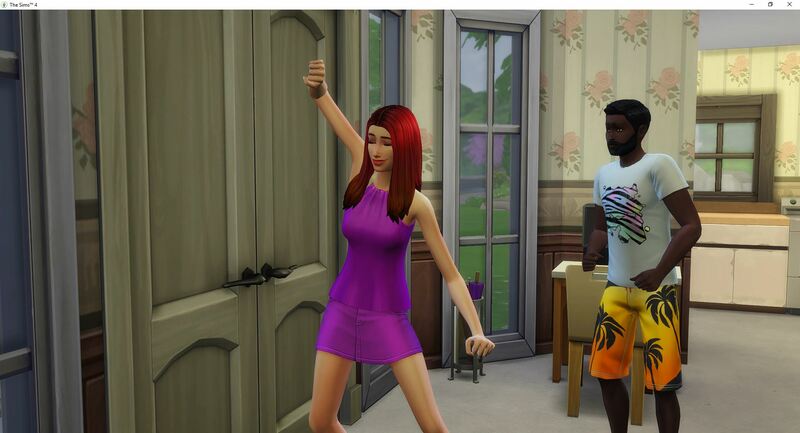 Shannon starts off the new day with a whim for some dancing to pop music. She wanted to dance, the pop music was my choice. Of course, she had to buy the stereo first. 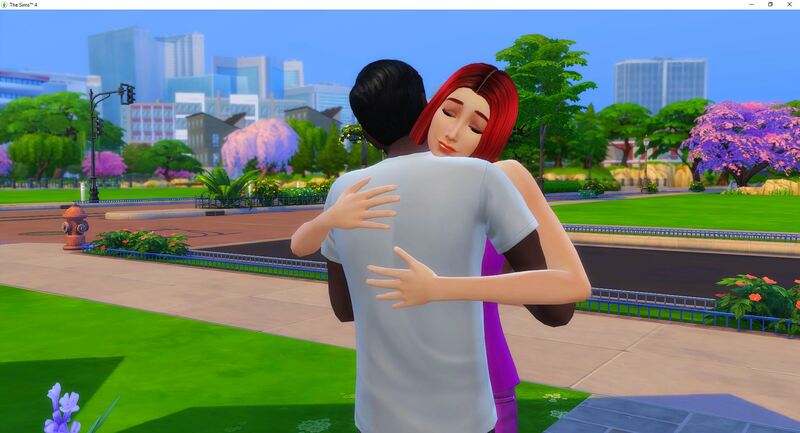 Then she had a whim to hug someone, so she invited Tracy over and got her a good embrace. Tracy isn’t complaining. 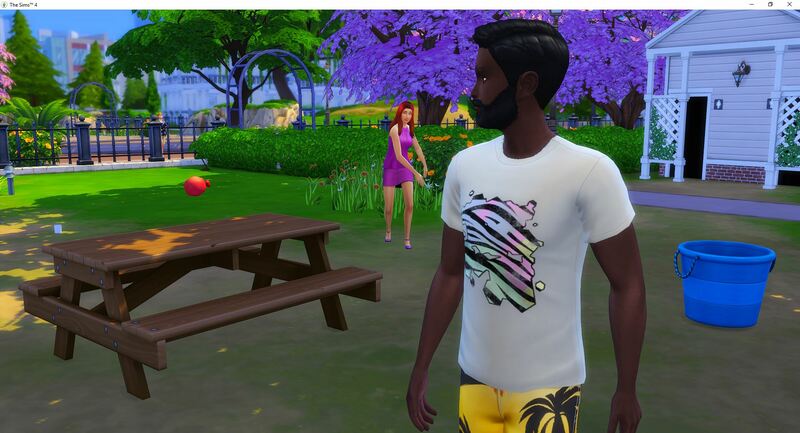 Her next whim is for a water balloon fight, so they went over to the park and played with the water balloons for a little while. Then Tracy left and Shannon got some food from the food stall. After eating Shannon heads home where she realizes there is a strong stench, and it is her. She actually finds the bath on her own and removes the green cloud that has been following her around. 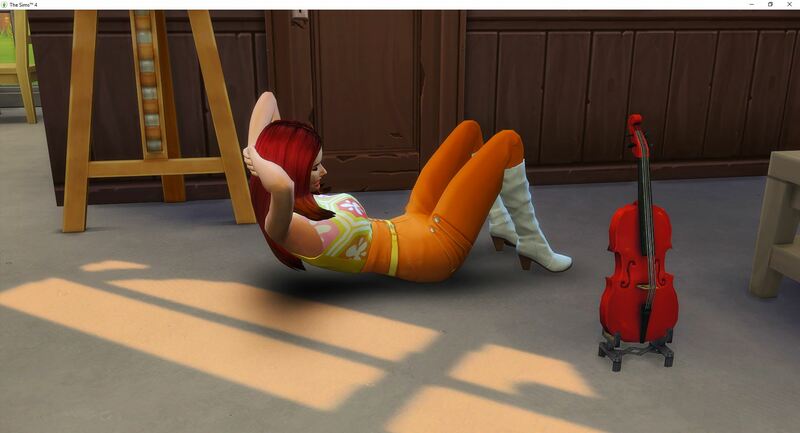 Now she is energized into doing sit-ups. Woowoo, she is so random. After the sit-ups she wants to send an energized text so Tracy suggests they head to the gym. Where she starts telling jokes. Shannon introduced herself to the papparazzi standing nearby. 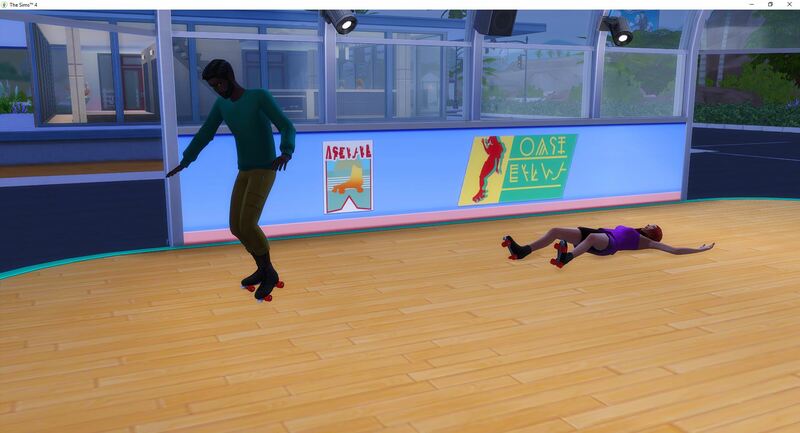 Then they went skating for the rest of the evening. Finally they both went home. To their separate homes. 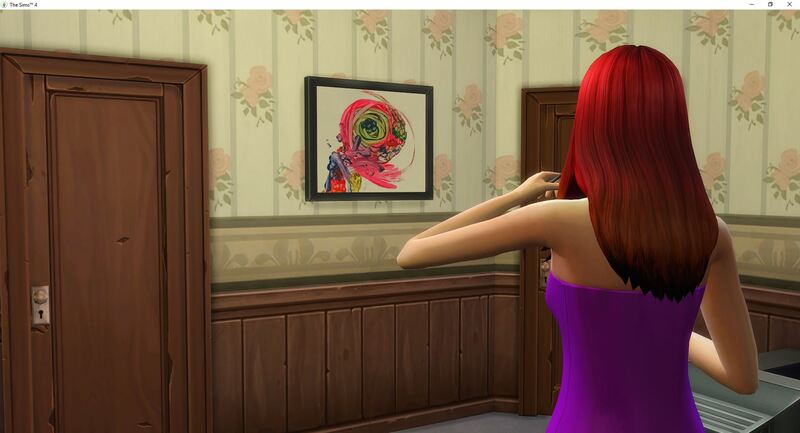 Shannon wanted to view a piece of art, so she painted a medium surrealistic painting, which is now hung on her wall. 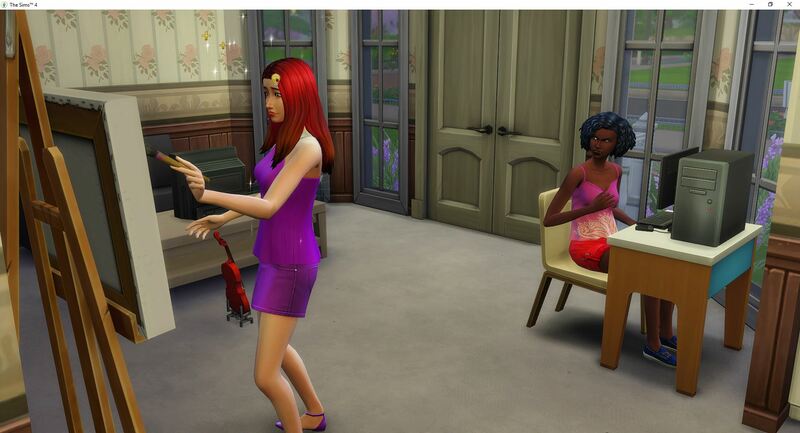 Shannon invites Tracy over to spend Monday with her since she is off work and they dance. Tracy kisses her and they chat for awhile, then he leaves. She never rolled any whims for him and she hasn’t had any flirty thoughts. She has a whim for Vlad though – to tell him a joke. 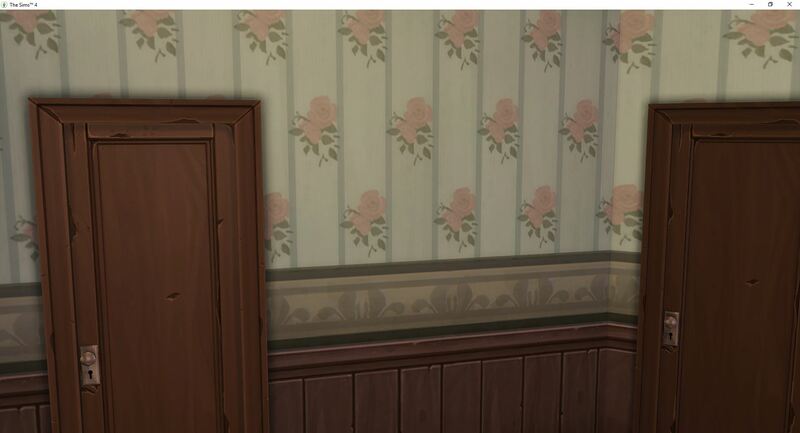 After Tracy leaves, she notices that her painting is missing from her wall. 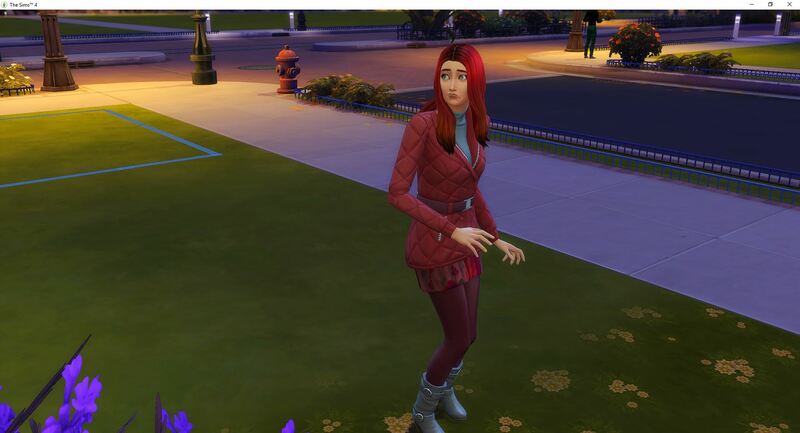 Tracy might just be a kleptomaniac although she hasn’t learned that trait yet. 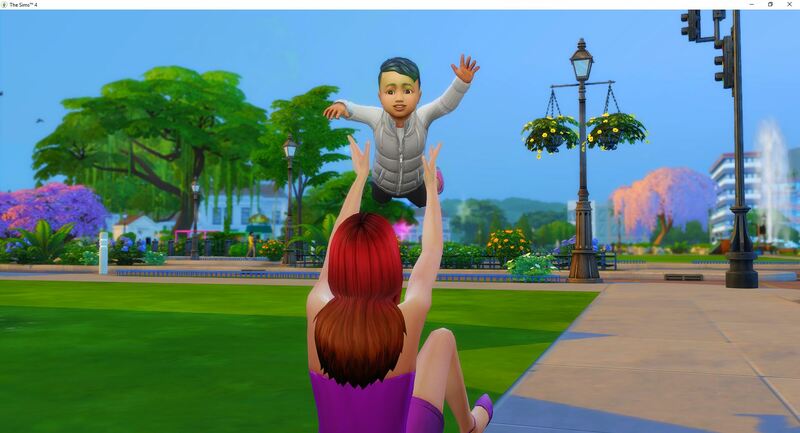 So far, she only knows that he Loves Outdoors. 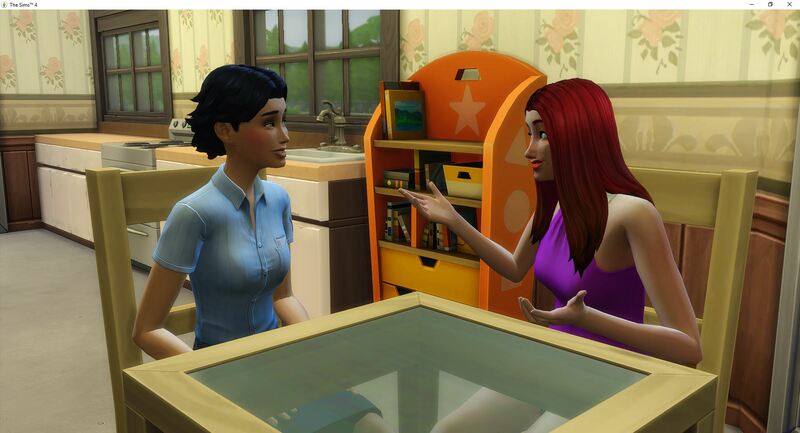 After Tracy leaves, Shannon decides she wants to meet someone new and then to make a friend. She catches the mail lady and invites her inside, keeping her there until she has a new friend. 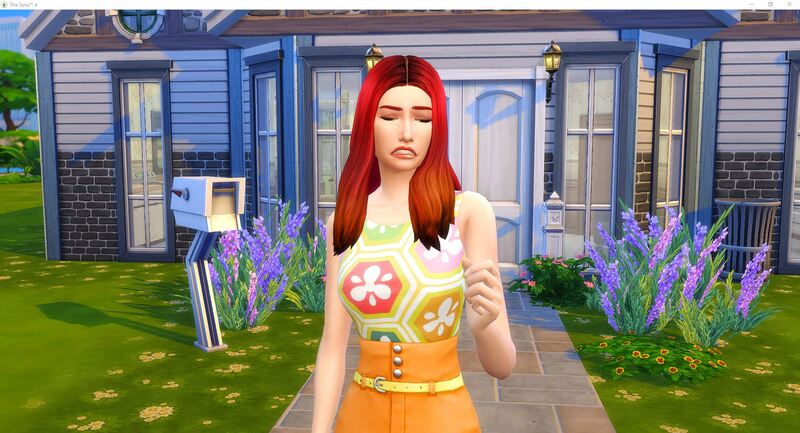 Rachael doesn’t seem to be too concerned about the rest of her mail deliveries. 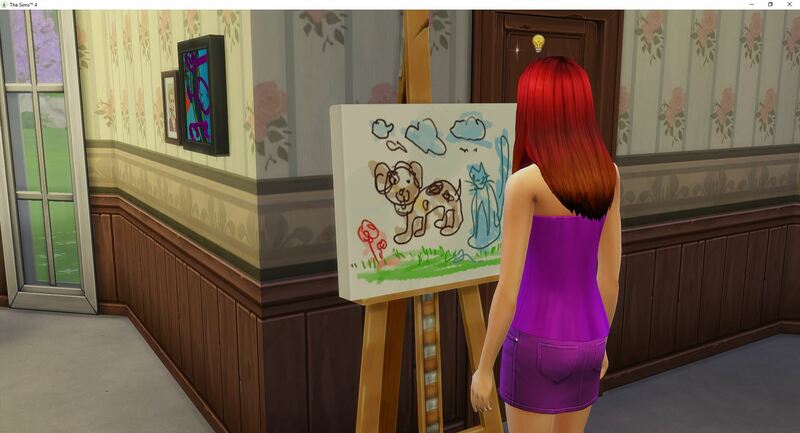 One more painting for her career task and her aspiration, and Shannon calls it a day. And then Tracy calls and invites her to a party. 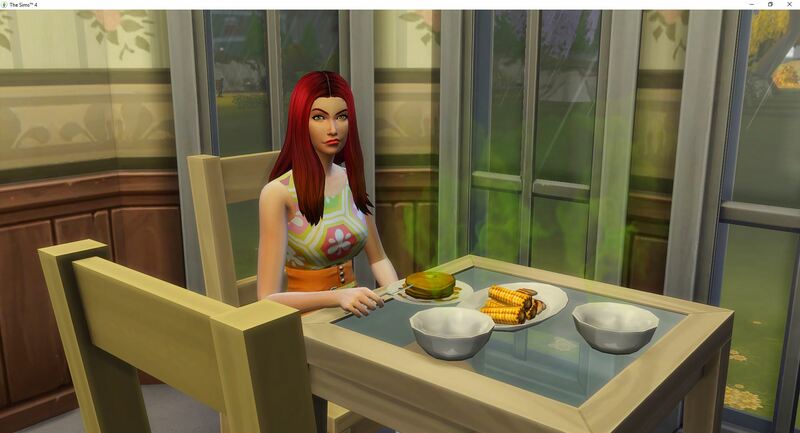 She calls and invites Vlad since she still wants to tell him a joke, and she wants to make another friend. 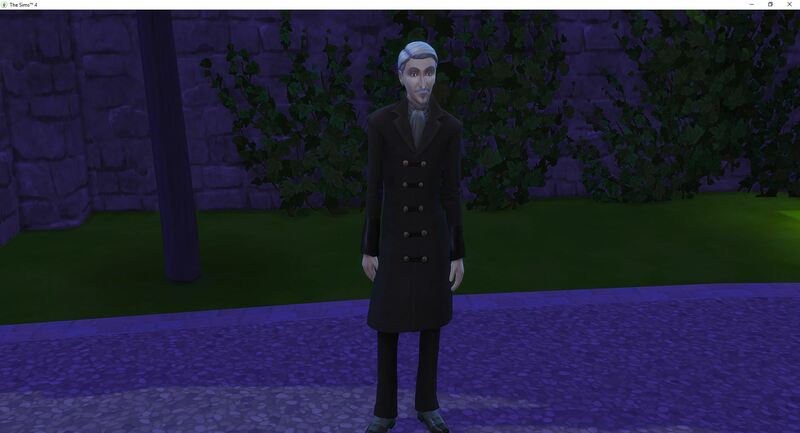 Vlad shows up but not really. He stays hidden in the shadows and then he leaves and Shannon never sees him. Happening party. Shannon sleeps through the entire thing. Yep, lots and lots of fun was had. Shannon is still feeling pretty energized from the nap but the party was really lame. 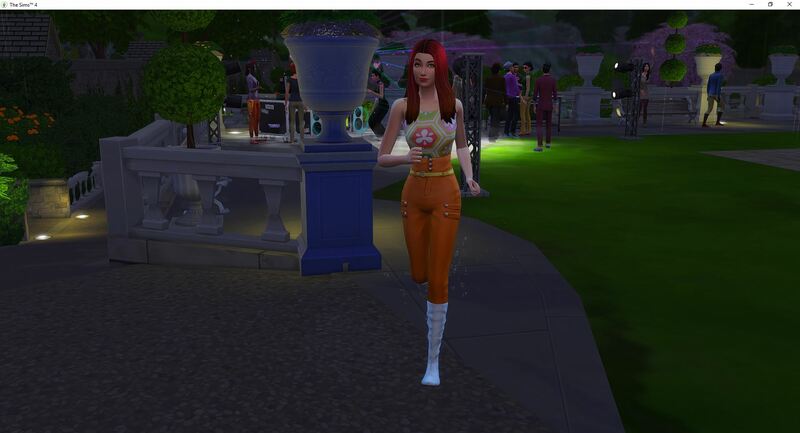 After eating the dinner she made earlier before the dance party, Shannon is still feeling energized and wants to go for a jog. 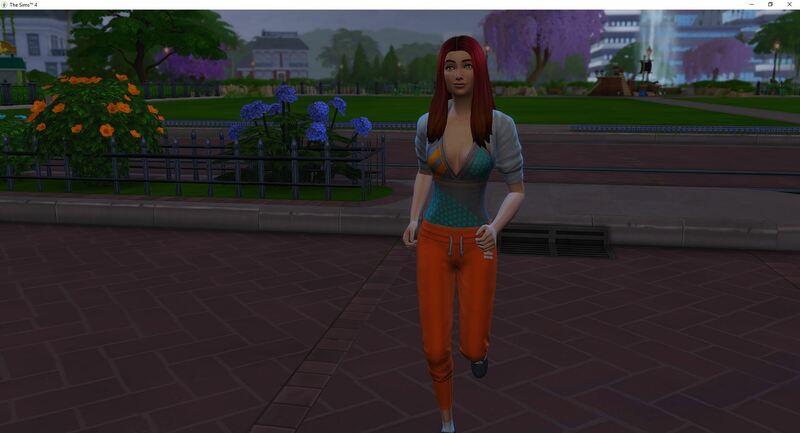 While out jogging she meets Chantel Hay (a random teen) and stops to enthuse about her interests. And they match. Shannon also takes a vacation day – whim. 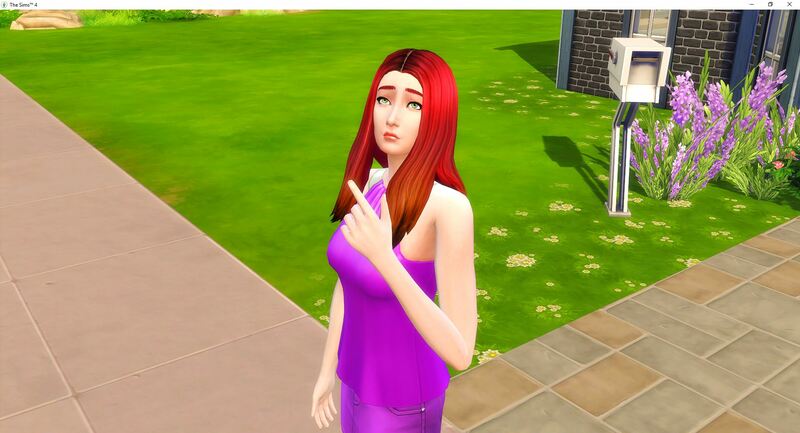 Now Chantel is in her house, playing on her computer, bitching about something. 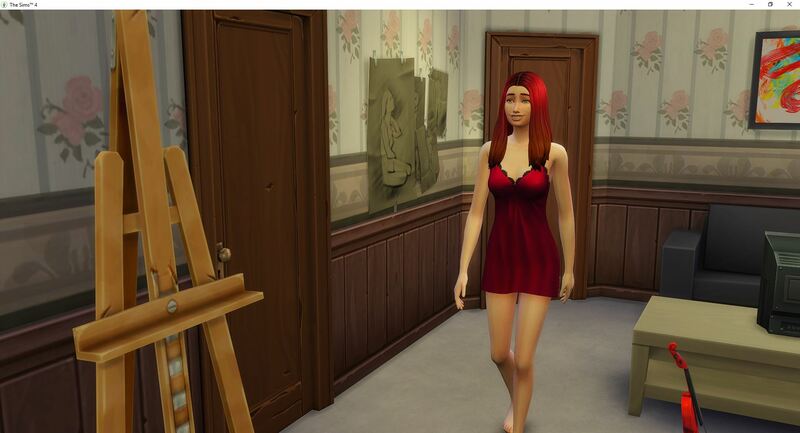 Shannon needs to paint three emotional paintings so she takes a steamy shower to trigger a flirty mood. 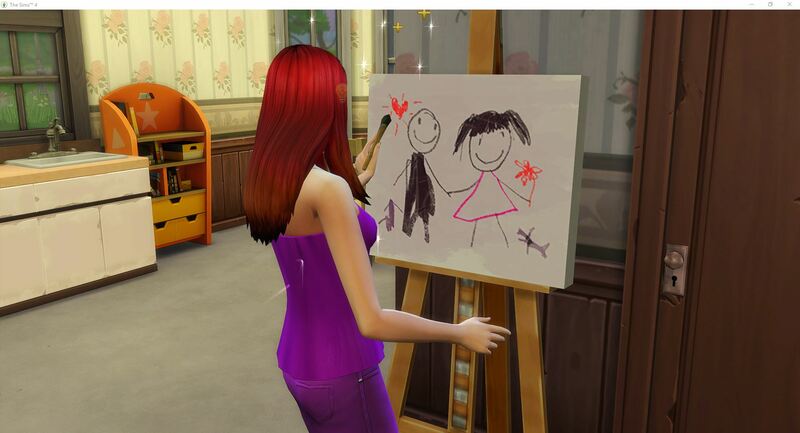 Once the energetic mood wears off, she is able to paint a flirty painting. 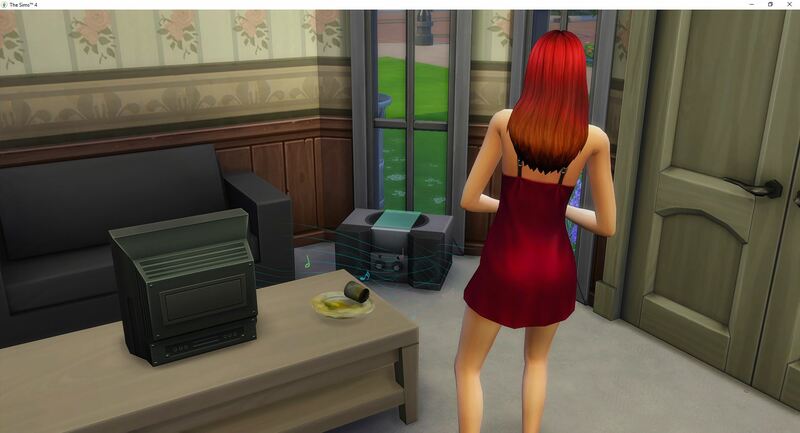 While she needs to money that she would get from selling it, she also needs some help getting into the flirty mood these days, so this one is going into her bedroom, and is being turned on. Now she is uncomfortable because she needs to pee and sleep. But will she? Shannon received a call invited her to join Partihaus, which she accepted but she missed the button to join their gathering that was happening right now. 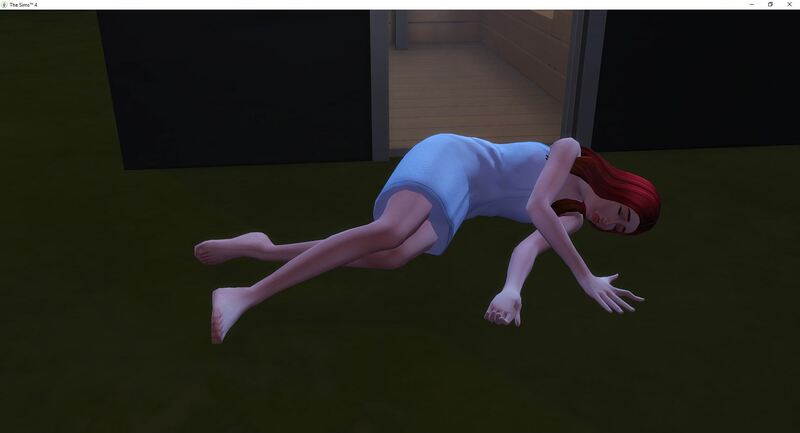 That was probably for the best since she is about to pass out. 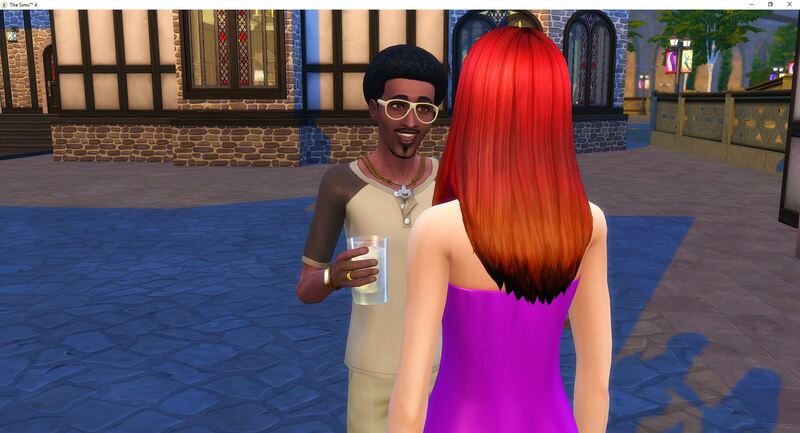 Shannon finally meets up with Vlad and is able to tell him the joke and make friends. 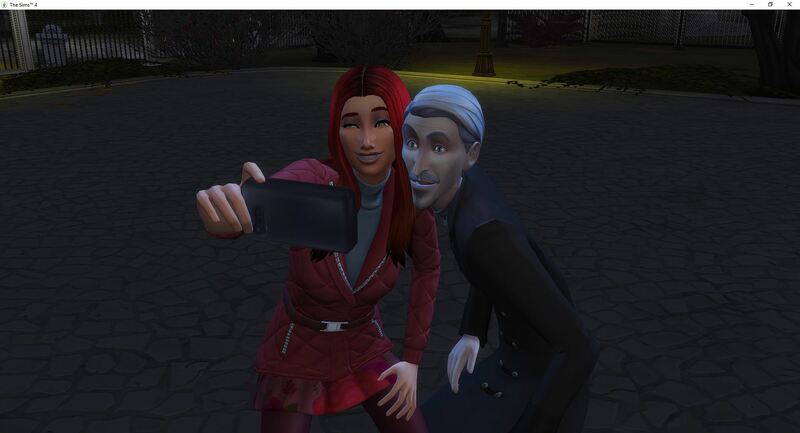 They weird friends though as he is evil and she is good. But in the end he leaves, and she goes to bed. Shannon gets another promotion to Watercolor Dabbler, level 4 and is trying to decide how to spend her evening. 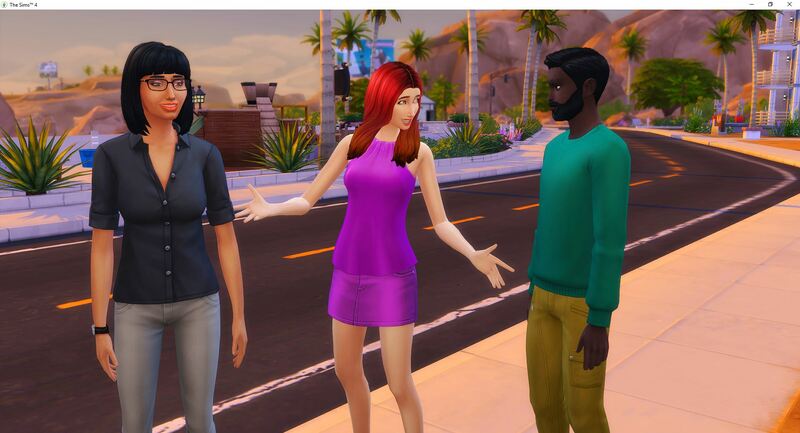 She gets a whim to start a club gathering. 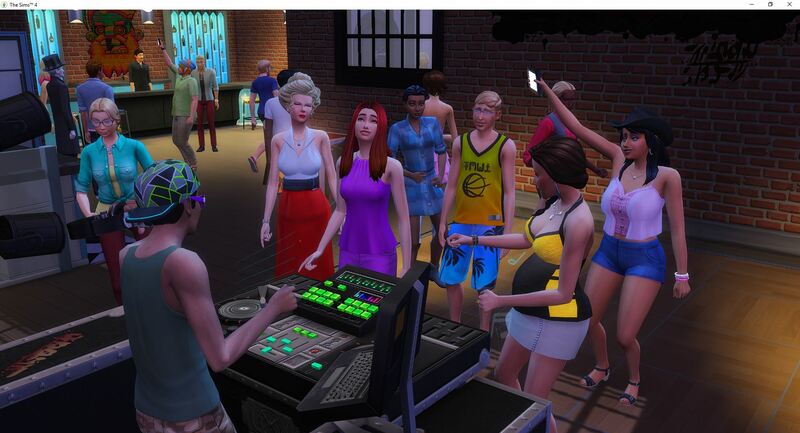 So they decide to have it at a club. 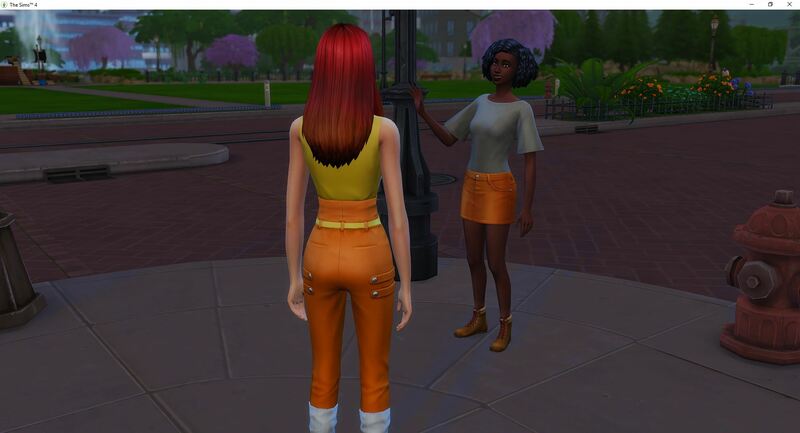 She stands outside while everyone heads inside and eventually someone random talks to her. Time to go inside. Random dude is Dirk Dreamer. They never actually met, because he isn’t in her contact list. 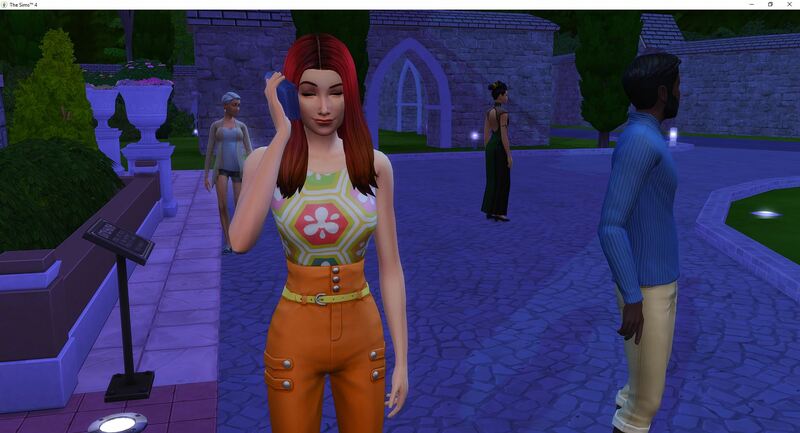 She calls and invites Tracy but she can’t get him into the club since she isn’t the leader so he just hangs around the club but they don’t really interact. Eventually Tracy leaves and Shannon is still dancing with her new friends. There are even some celebrities. 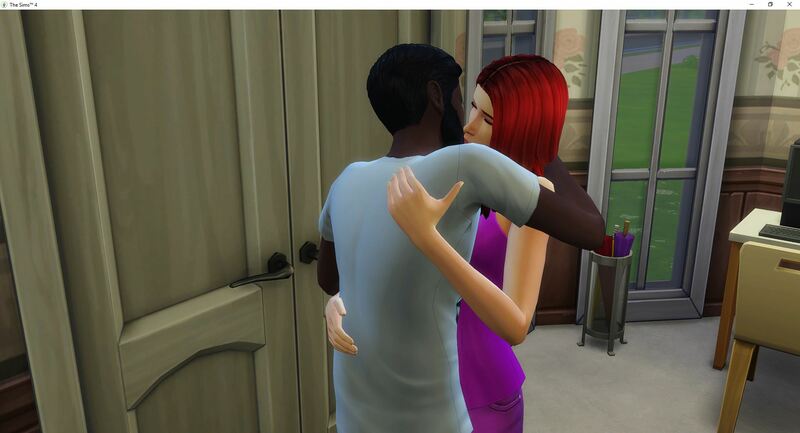 Vlad shows up at some point and even though Shannon is sad that he is evil, they continue to be friends. 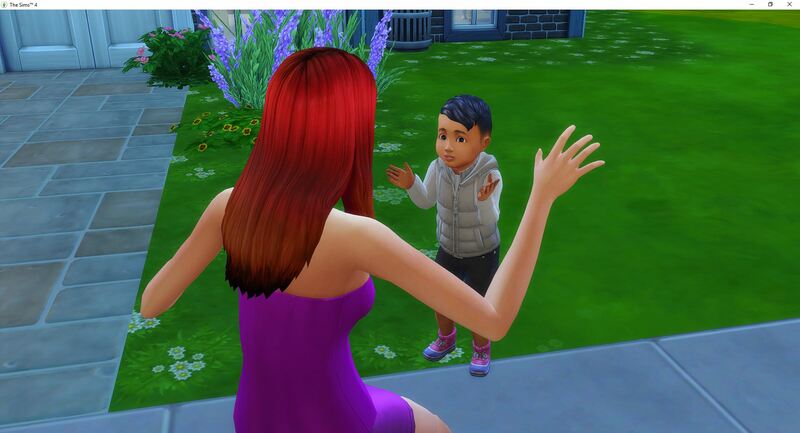 Coming home at 5 am, Shannon finds a lost little boy standing outside her house. 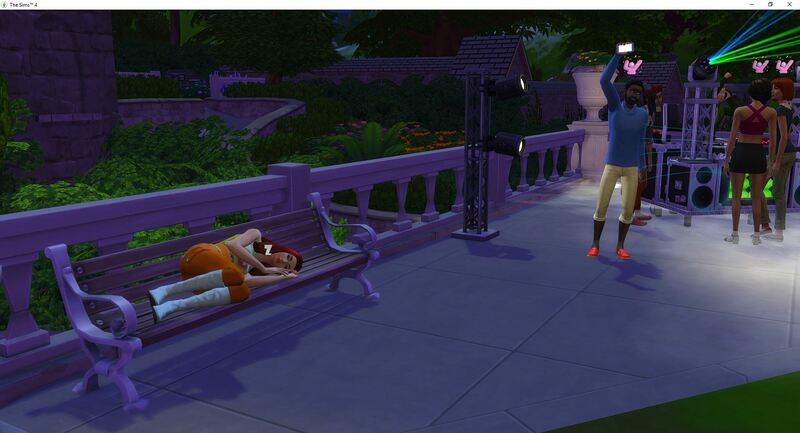 She sits down with him to keep him company until he is found by his family and taken home safely. She doesn’t want anything bad to happen to such a cute little thing. Shannon is able to keep Milton a lot longer than I expected. He IS a kleptomaniac. 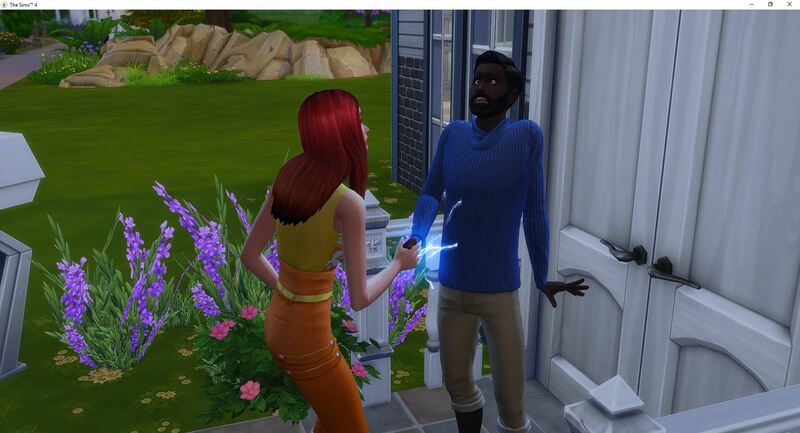 He just stole the painting off her wall and she caught him. But there is nothing that can be done about it. 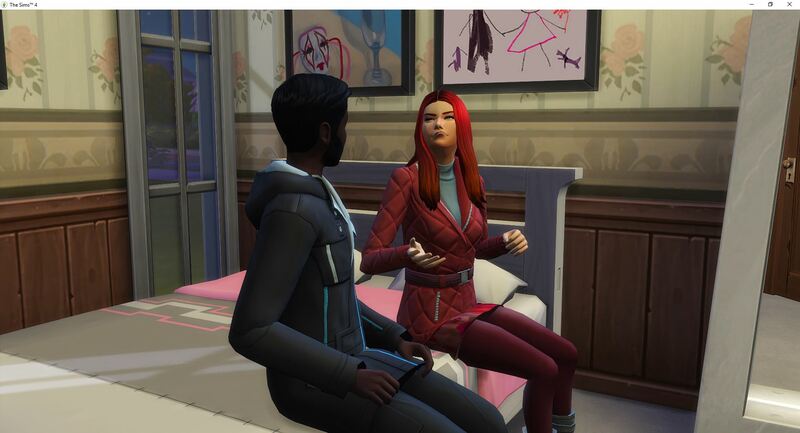 She wanted to ask him about his day and then tell him a dirty joke. She led off with this. At one point, I thought they were on track. They seemed to be heading the right way. Then Shannon went to bed and Tracy went to play on the computer. Then he went home. Another night, another dance party. 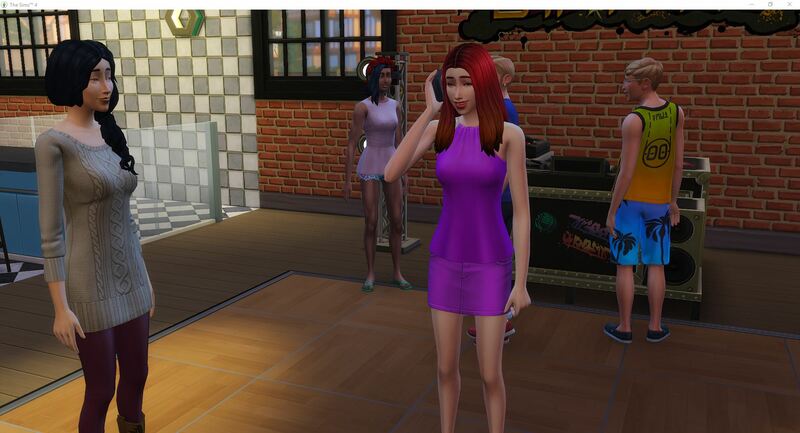 Shannon is not really in the mood and she vents all over Tracy when they get to a bar, not a club. They are still good though and seem to have a good evening. 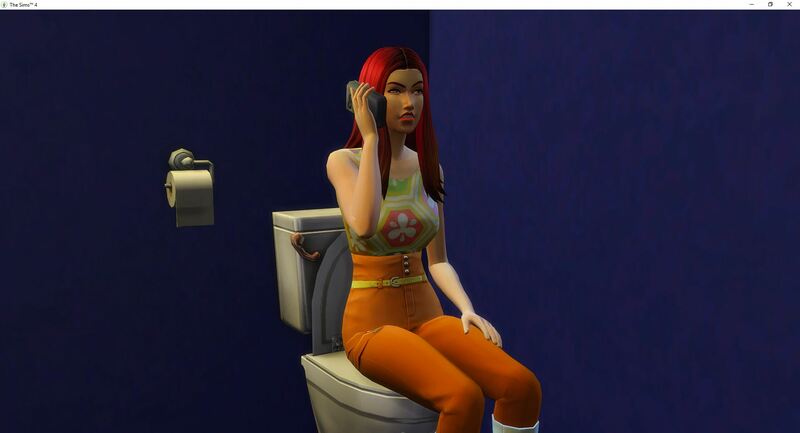 Although later Shannon calls to chat with Vlad while she is taking a potty break. 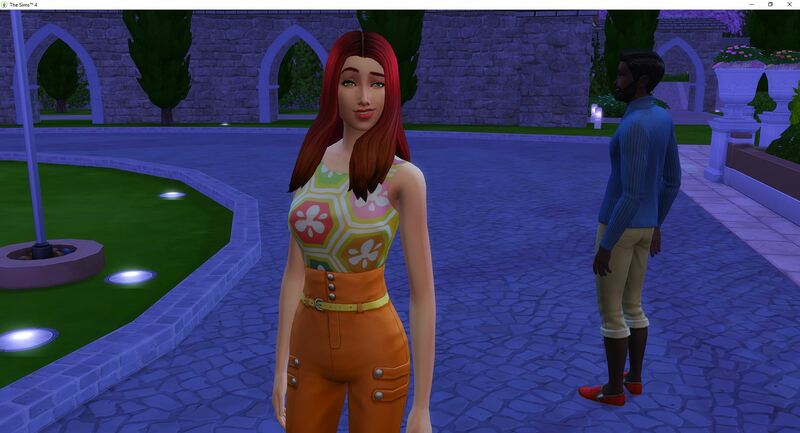 After their dance party, Tracy invites her out on an actual date. 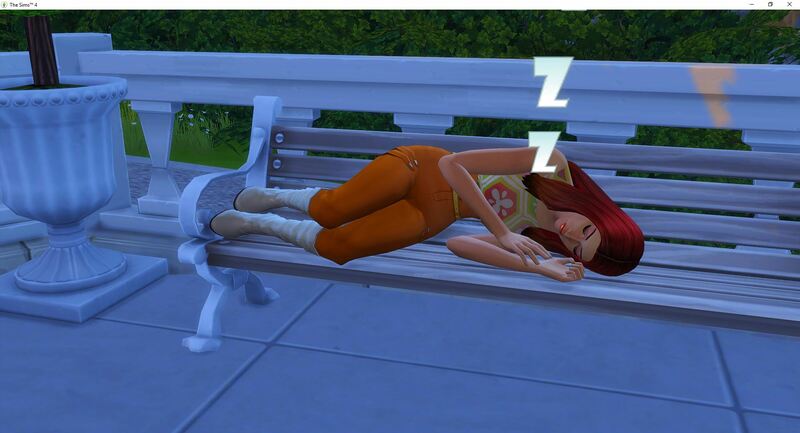 It isn’t a scored date though, which is good since Shannon ends up sleeping on a bench again. Today’s toddler is Carolina. She didn’t even stay long enough for me to take a picture. 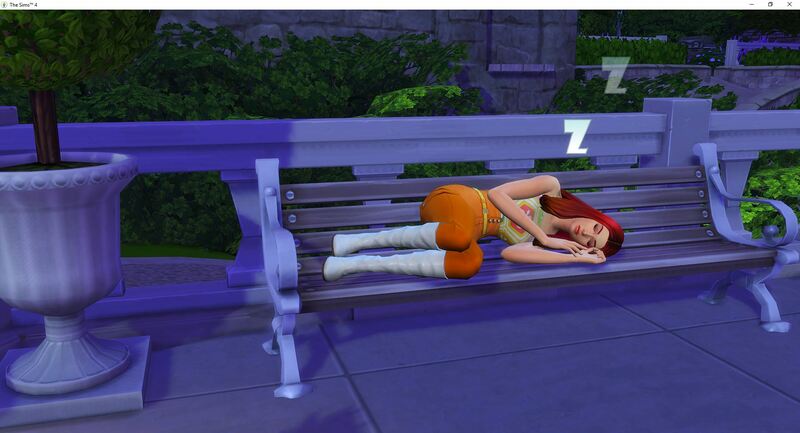 Shannon would be better off if she would actually sleep rather than nap. But whatever. Shannon has been burning the candle at both ends – working and partying. She really needs to get some sleep soon. Well, that is one way to make it happen. Prank Day sneaked itself onto the calendar so Shannon invited Tracy over to get it out of the way. 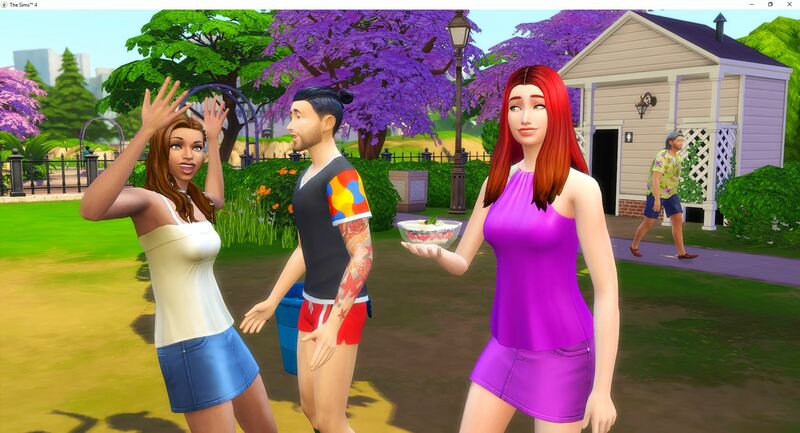 It only took four or five pranks to finish the traditions and that holiday was ended early. 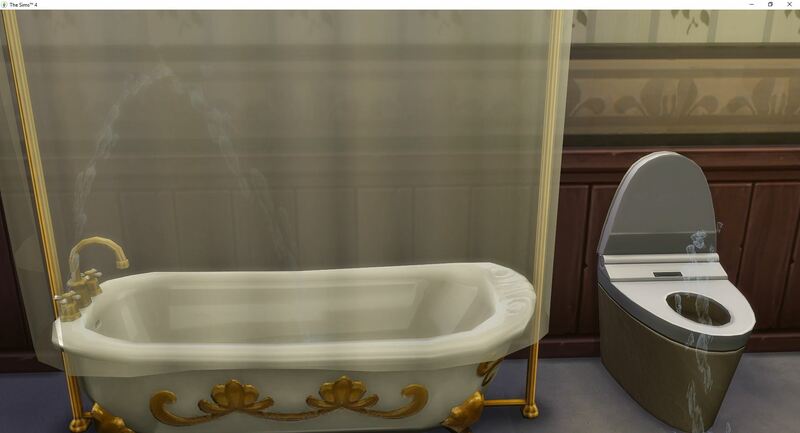 Then Tracy went in and cleaned the tub. 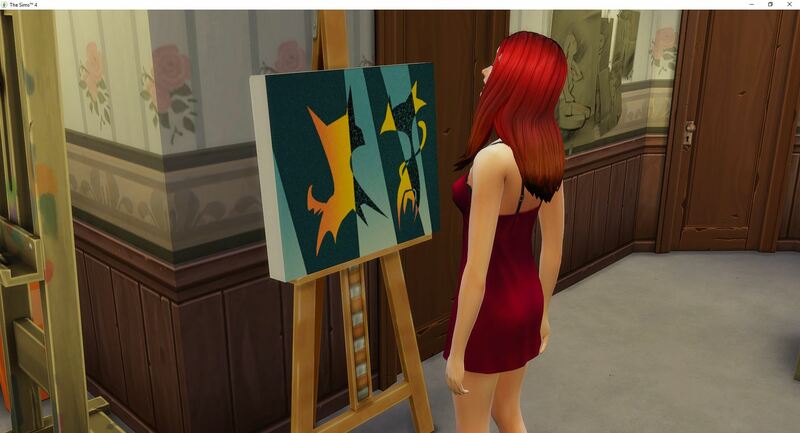 Then he stole another painting. 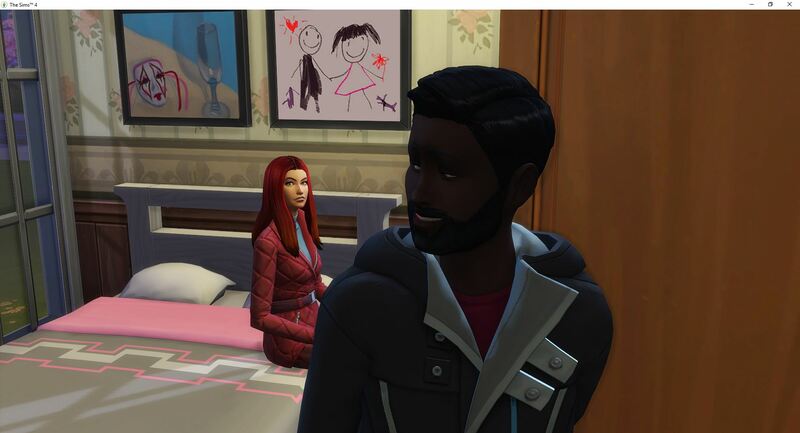 While he hasn’t given back the paintings he has stolen, he did paint her one of his own. Not shabby – it is excellent quality. Shannon framed it and hung it up in the bedroom. Maybe he will steal it back one day. 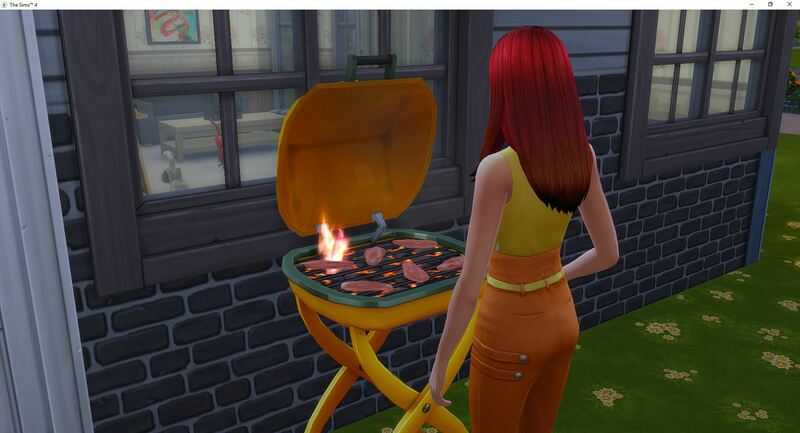 Shannon just bought the new grill and it doesn’t take her long to find it. She makes grilled chicken (yum) and then heads to bed, to actually sleep. 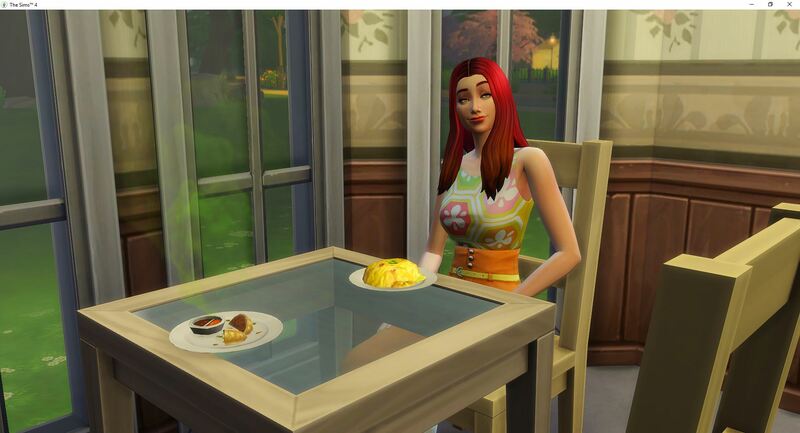 Shannon has completed the first two weeks as a young adult and she isn’t married and doesn’t have any kids. She is moderately successful in her career but is actually a very good painter. She has painted two masterpieces, which she keeps hidden away because her boyfriend is a kleptomaniac and she doesn’t want him to steal them. She has rarely been flirty, never without outside influence. 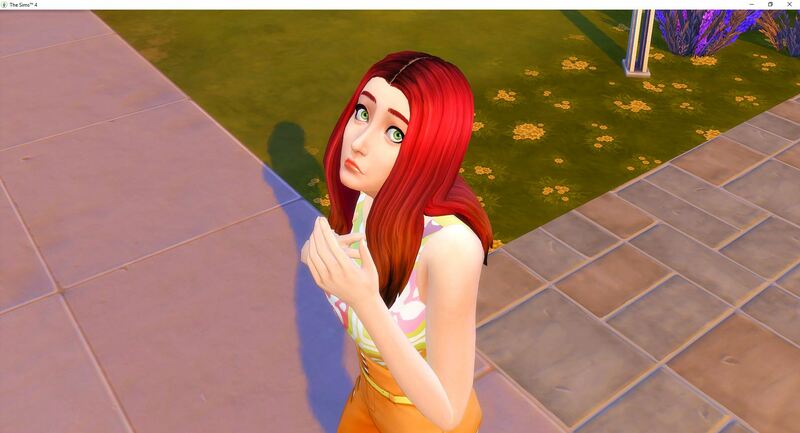 She has rarely had any whims related to romance and barely thinks about specific sims. 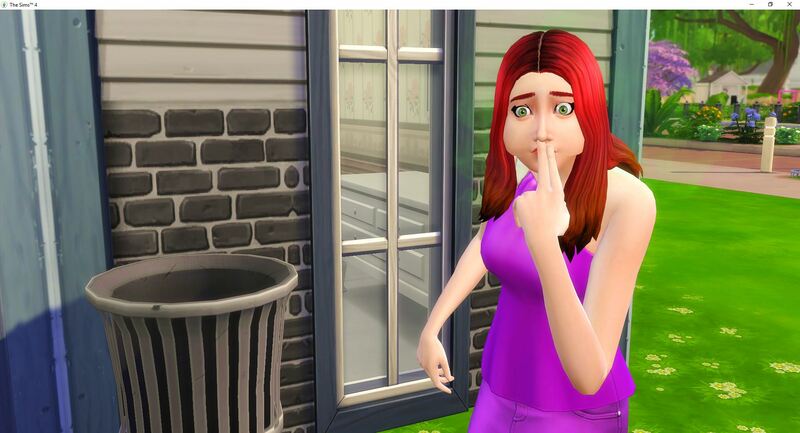 She is outgoing, so she likes to meet new sims and make new friends, but she is not particular about any one sim. And that includes Tracy. 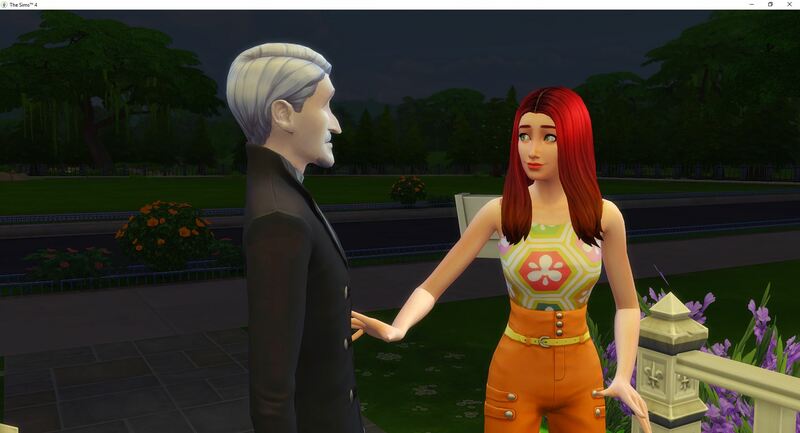 But then there is her friendship with Count Vlad. The evil thing doesn’t bother her as much as the hissing. 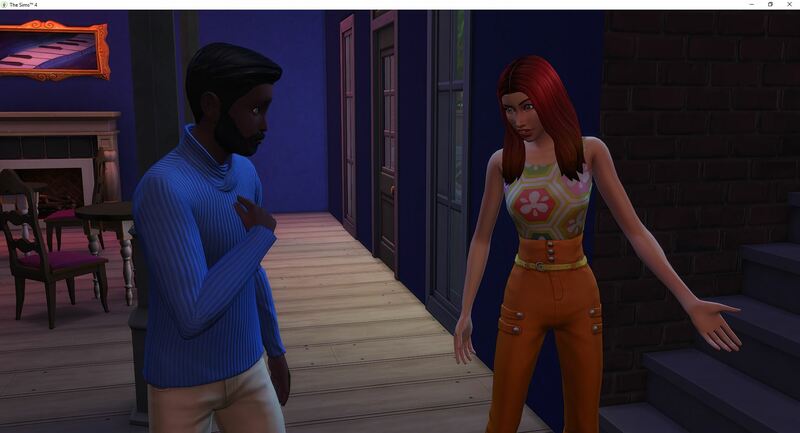 He invited her over and I thought he was going to offer to turn her, but it never came up so she went home. I don’t know if she would have accepted but it doesn’t matter now. Shannon receives a promotion to level 5, Canvas Creator despite her extreme fatigue. 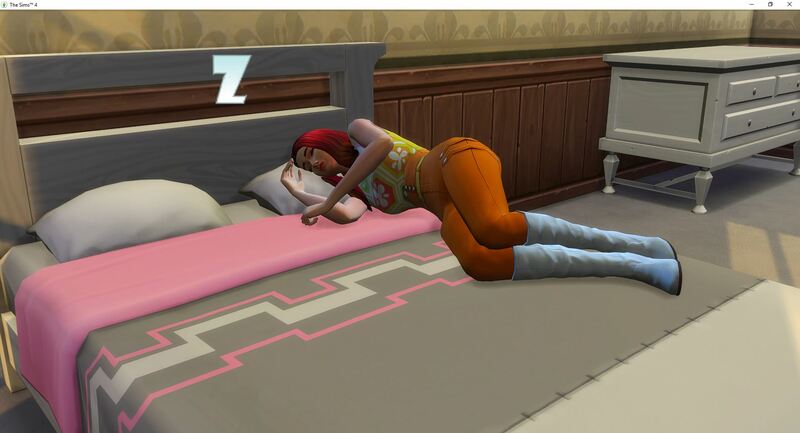 She ignores two invitations to go out in order to stay in with the intention of sleeping. 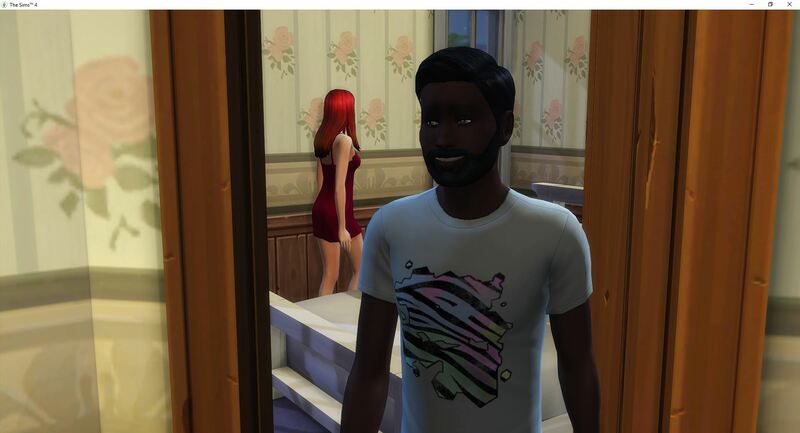 Instead of going to bed, she took a nap on the couch with the stereo on, and then she took a bath. She finally found her way to bed after waking up from the floor of the bathroom. This is the first time in several days that Shannon has felt fully refreshed. All of her needs are in the green. She feels like painting again. And what a painting – it is another masterpiece. One that will be hidden away from Tracy. 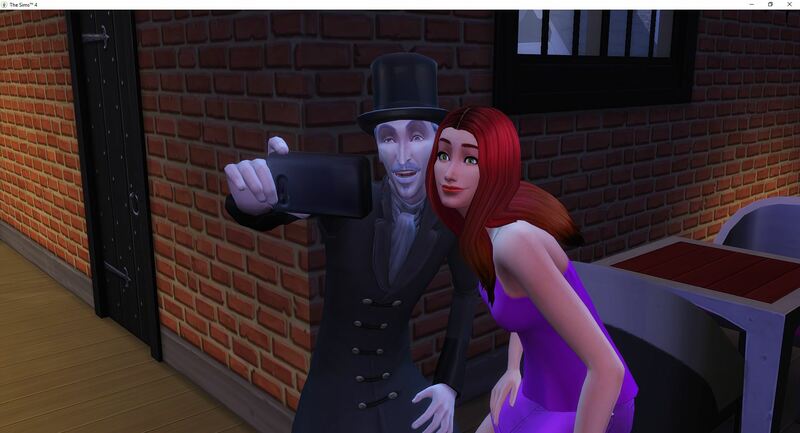 That day at work, Shannon has a unique opportunity and it is very possible that she altered the timeline by painting a picture of Gregory Landgraab. She is also a one-star celebrity again. Shannon is still very tense over altering the timeline with her painting. What else might have been changed – all with a painting. And there is a thunderstorm that is scaring her. And someone needs to clean up all of these dirty dishes. Shannon wanted a sauna and since there are no kids, she spent all of her money on a sauna. 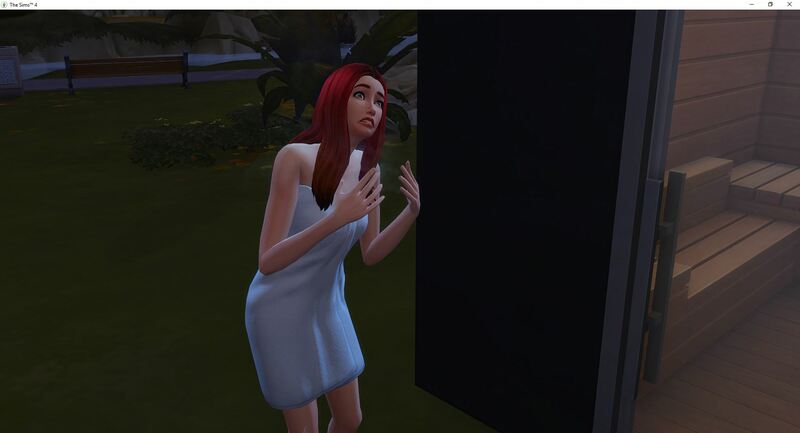 As soon as she got into the sauna, she was panicking because of the thunderstorm. Now she has to run-pee-waddle back to the house and hope she doesn’t get struck by lightning on the way. Someone has a problem. She has voluntarily repaired everything else in the house. 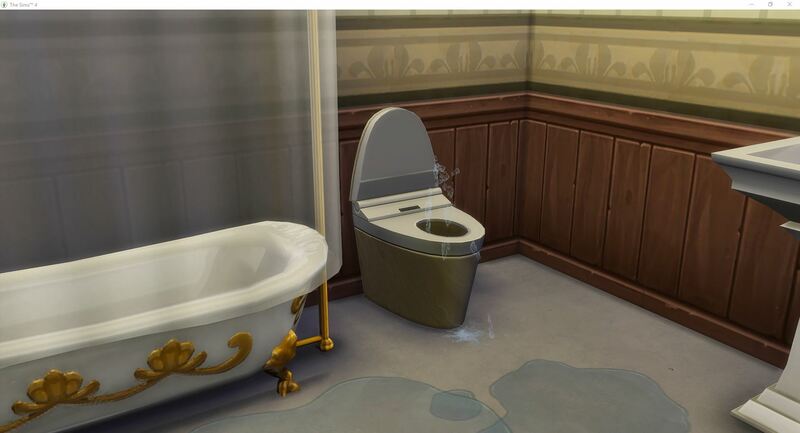 Except the toilet. She will pee herself in less than two hours. And it happens in the front yard. But at least now she can take a shower and hopefully by the next time she has to go, she will have gotten around to repairing the toilet. Or even wishing for it. 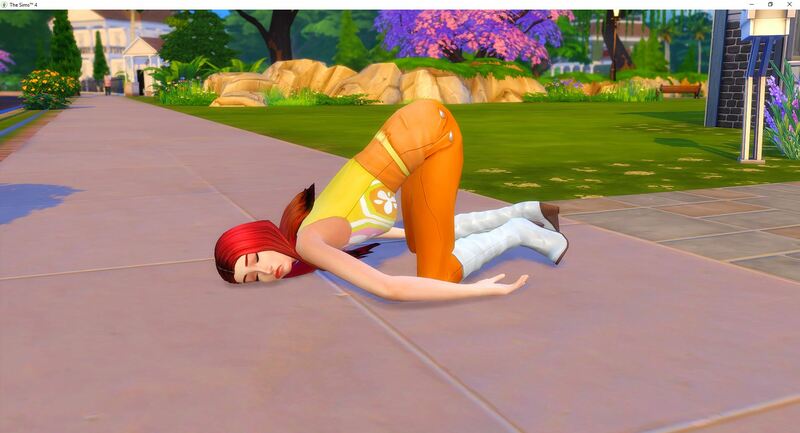 Unfortunately that won’t work to end the challenge early, no matter how many times she tries. 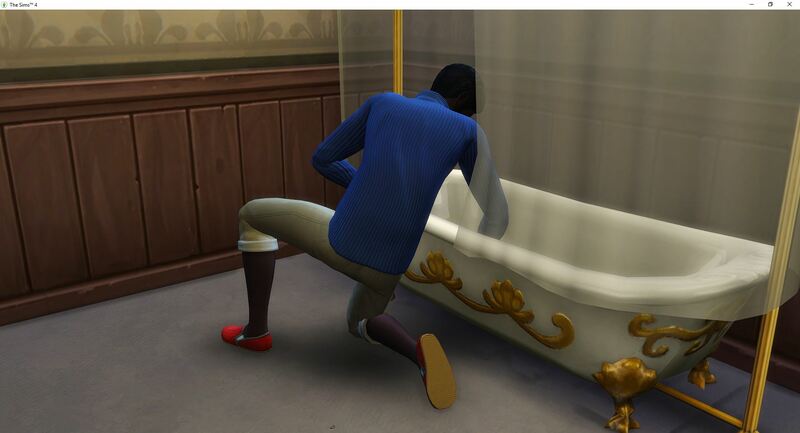 Okay, now the shower and the toilet it broken. But she has wished to take a shower, which means she is going to be sent to repair the shower. 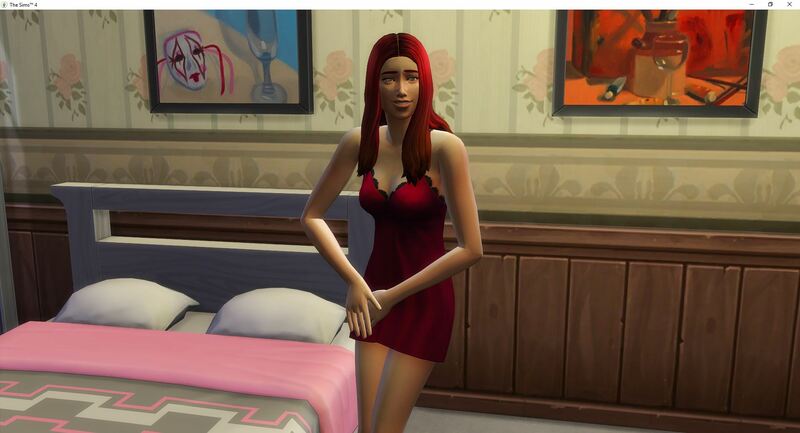 She needs to get the hint and repair the toilet. At this moment in time, she is not giving me anything I can help her with. 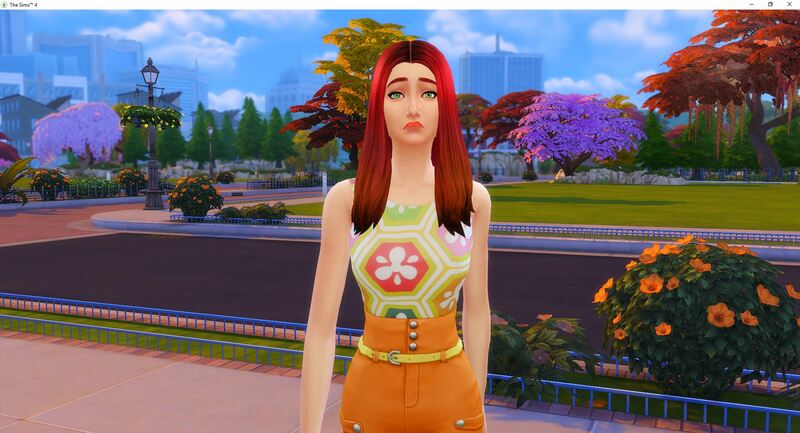 She wants to paint and level painting, but she is miserable and won’t paint. She doesn’t have an emotional whim so she was doing whatever waiting for something I can help. 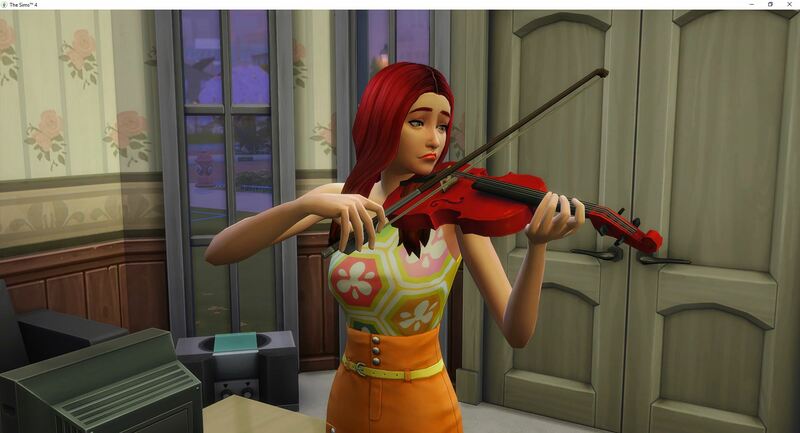 This is the first time she has touched the violin since she bought it. So close. 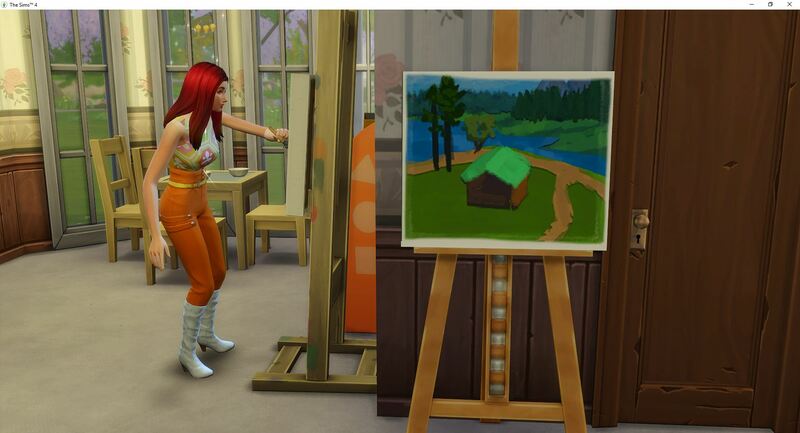 She is miserable unless she is in this room with the flirty paintings. She rolled for sauna woohoo and then she stood up and went tense. 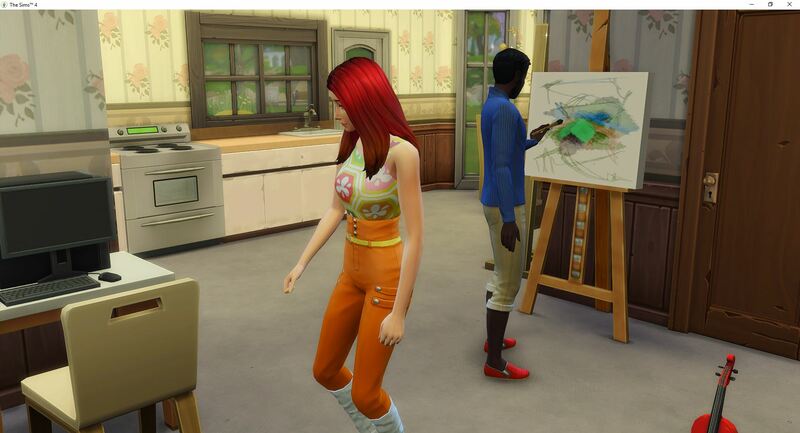 Now she wants to start a flirty painting instead. 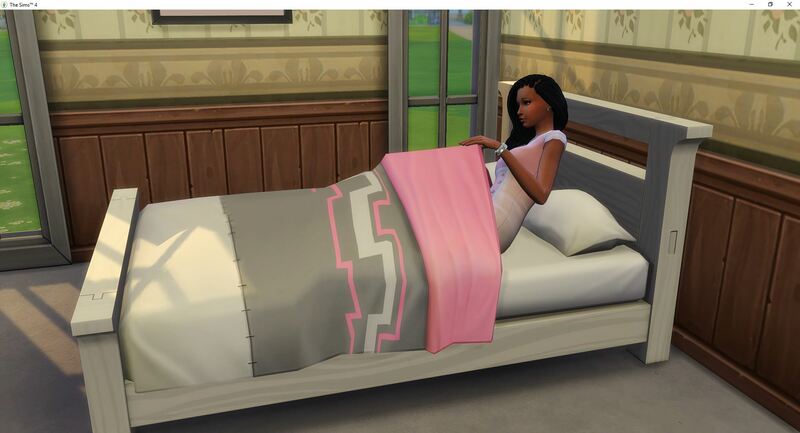 She needs to have some fun really bad, but she doesn’t have woohoo options with Tracy yet. So she is going to paint. 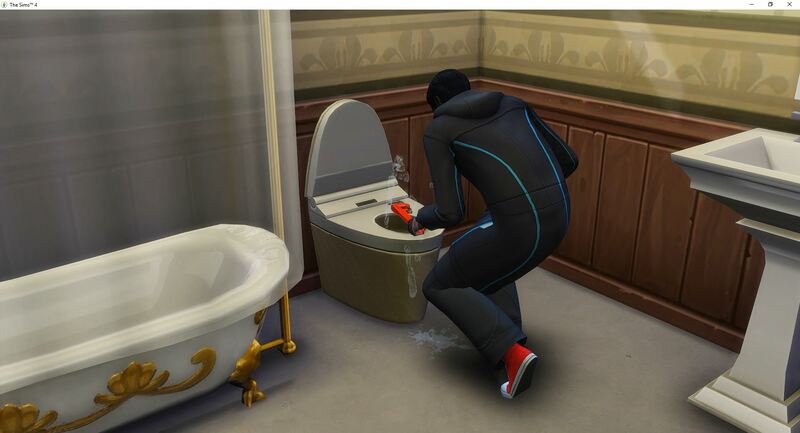 While she paints, Tracy repairs the damn toilet. Tracy takes the painting as payment. So this wasn’t planned, but sometimes things just happen. I wasn’t really paying attention and she was very tense. 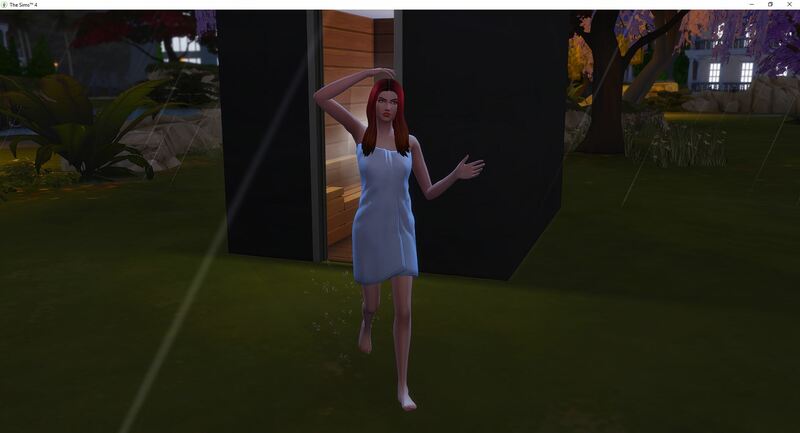 She rolled a whim for the sauna so she got the sauna. 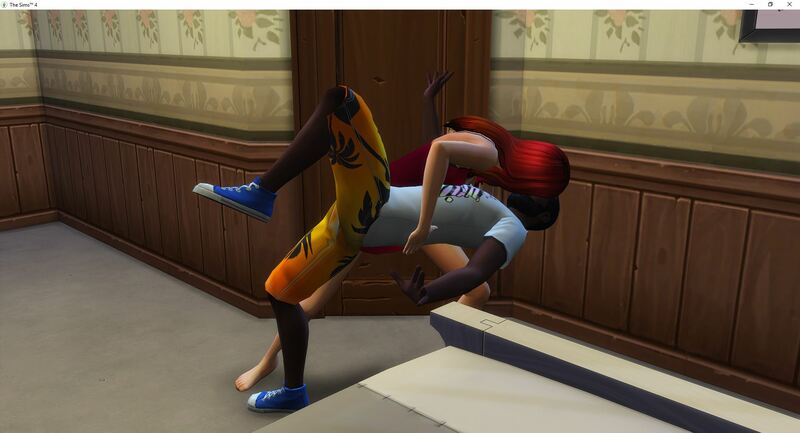 It was helping her fun, so I sent her back in trying to get her fun topped off since she isn’t rolling whims for woohoo. 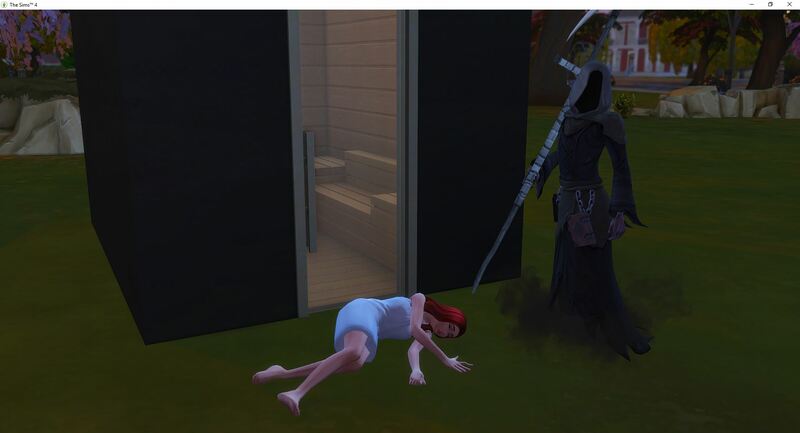 She was just about done to get out when her time ran out. 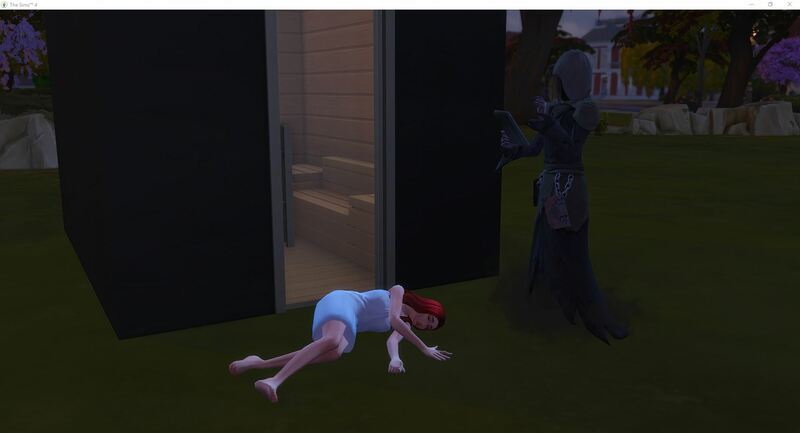 I think this is probably the quickest I have killed a sim accidentally. 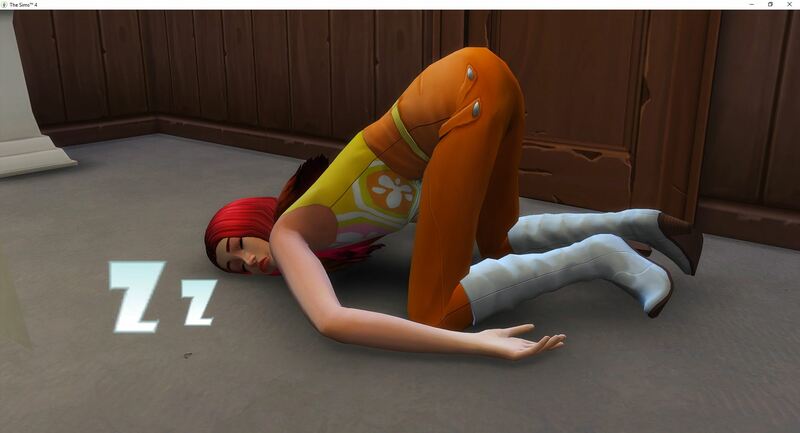 Although there was this time in Sims 1 when I couldn’t figure out how to make the sims move to the food and my sim starved to death by the pool.